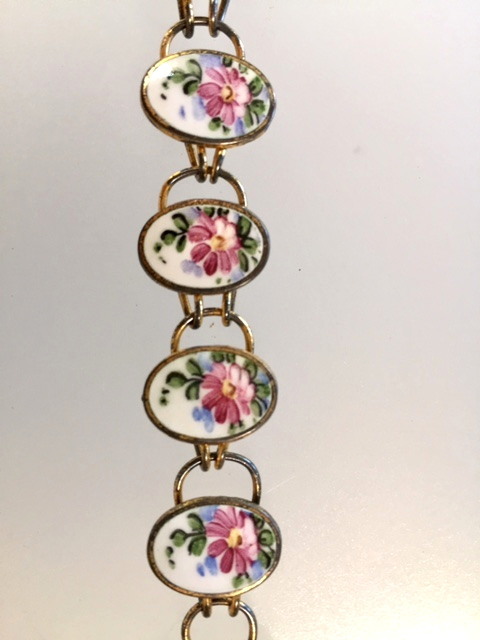 A stunning C1920's antique Guilloche enamel Sterling Silver link bracelet with Pink Roses in a White ground . 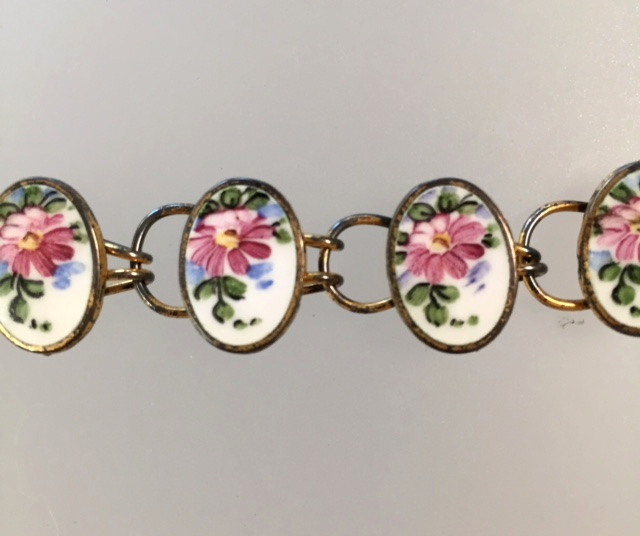 These enamel bracelets are hard to come by these days!!! Grab it while you can! 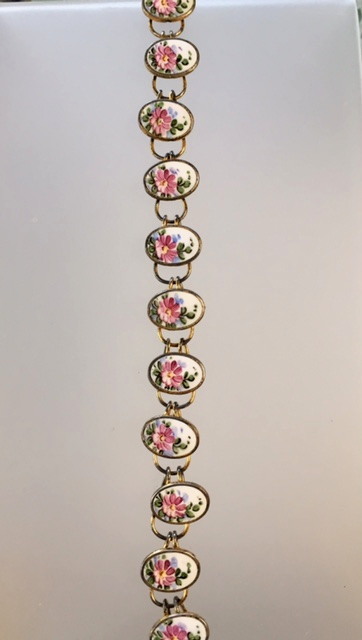 The perfect accessory for any color ensemble, casual or dressed up!